Roadside Assistance services are of no cost to you and available 24 hours a day, 365 days a year. Costs are only incurred in situations that exceed the limits of the program, some of which are listed previously in this section. 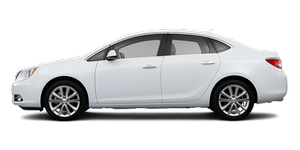 Buick reserves the right to make any changes or discontinue the Roadside Assistance program at any time without notification.